Copyright 2006 The Powerful Promoter Secrets to Promoting Your Business at a Trade Show Trade shows show promise as a “golden” marketing opportunity. Many business owners are stepping outside of the traditional box and investing in portable signage. Talking one-on-one with potential buyers provides an immediate gratification that is empowering. The trade show makes highlighting business services or products easier. Plan Ahead Working trade shows requires some planning. If possible, visit the facility prior to selecting your booth. Walk through the facility looking for potential problems that would inhibit your success, such as: Food court: Although being located next to the food court could be beneficial, it creates a distraction. It’s difficult enough to interest a potential buyer in 3-minutes; you don’t need the sweet smell of cotton candy interrupting. Competition: Don’t be suckered into renting a booth that is right next to a competitor. Some people believe its quality that counts and are eager to take the challenge of competition. Accessibility: Ideally, your booth should be near the entrance or exit of the building, or the restrooms, or the main isle. Wherever there is an adequate flow of traffic. The location of your booth and the signage you use will have a direct result of your trade show success. Stay focus on the appearance of your site. Use a banner to display your company logo, web address, and phone number. It’s important you capture the attention of potential buyers with signage and color. Keep it short and simple, K. Use a secondary color to present information of importance. The two-tone color method adds depth and retains the attention of the reader and that’s a big advantage. Most booths are no more than a 9` by 5` area. So it is equally important that you make valuable use of the area. Eliminate any unnecessary clutter and keep things organized. It’s important that your potential buyer doesn’t become distracted. Offering a special is also a good way to bring more people to your booth. Use a tripod and display board to feature your special offer. Write clear and in large lettering. Be prepared to answer questions. Working a Business Trade Show Business trade shows go hand in hand with network marketing. The primary purpose of this type of trade show is to draw the interest of other businesses. 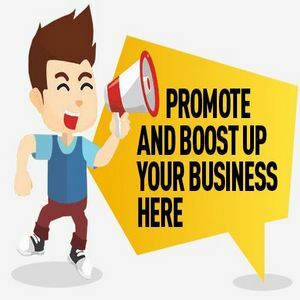 Your objective is to provide enough information for the other participants to promote your services or products by word of mouth or through passing literature. It’s common practice for business groups to exchange business cards and brochures at a business trade show. Each booth gives a 2 minute presentation to visitors, a free gift (ink pen, magnet, sticky notes, or eraser), and ask for the visitors literature. Professionals shake hands and begin asking questions. • How can I assist you? • What are the benefits of using your services or products? • Who is your target market? • How can potential buyers reach you? • Do you work outside of your area? Business trade shows are not limited to business owners. Most vendors will invite others that may profit from using the services or products of the network group. Finding a good booth, using the proper signage, and displaying a sample of your services or products are all important elements of trade show marketing.